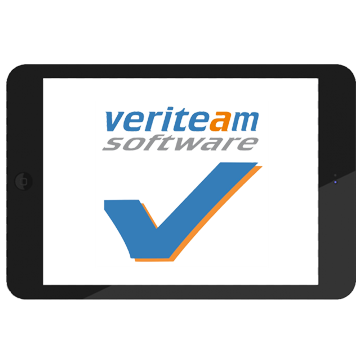 VSS is an established Software company delivering software development services of any complexity to clients worldwide. Being in IT business for over 13 years now VSS has a strong team of skilled experienced IT experts. Our customers are companies of all sizes ranging from startups to large enterprises who realize that they need a professional internet solution to generate revenue streams, establish communication channels or streamline business operations. VSS delivers comprehensive web services ranging from custom website design to development of complex internet systems. We base our offerings on an understanding of clients' business requirements and providing dependable solutions. We combine business domain knowledge with technology competence and proven methodologies to deliver high quality results in a cost-effective manner to maximize your competitive advantage and productivity. We are a quality business solutions provider, having a young, talented and experienced team. We are best described by the words confident, competent, and caring. We explore opportunities around the world and try to grow along with our clients. We believe in having long term relations and want have relations with all businesses and people around the world. Having worked on numerous projects, VSS has gained unmatched business and technological expertise. We have built a large database of knowledge that we apply to deliver solutions that meet customers' needs, expectations and budget. We at VSS understand the strategic requirements and business objectives of the customer. Based on these we offer a solution which is saleable and flexible to adapt to ever changing market needs. Once the project is initiated, we follow partnership approach with the customer and incorporate the specifics as desired by the customer during the completion process .This has helped us to maintain long term business relationship with our clients, duly supported by our team subsequently if need be. We deploy best methodologies and tools/techniques available in the market and have tailored them to fit our needs to provide top class quality to our customers. This helps in integration and deployment of software solutions/applications in the best and most efficient manner. Our Q.A. team is dedicated to follow quality processes on each project we undertake. Regular meetings of Q.A. team with development team adds to additional responsibility to improve our development processes ensuring updating of various methods and tailoring of processes to fit our fields. Quality is underline statement at VSS. At VSS, we have a customer oriented approach trying to provide the best possible solution within budget and schedule. Customer satisfaction is top priority at VSS. VSS has a market oriented approach. We are always up to date with current happenings in the IT World and incorporate latest technology as soon as they are available giving us edge over others. We have a flexible approach to our processes and adapt certain processes or methodology as per client's vision. This comfort level to the customer helps achieve better understanding during execution of the project and successful development in line with client's business strategy. We have latest computers with latest software. These hi tech facilities are interconnected through internal networking. High speed internet. Our team available round the clock maintaining infrastructure and providing support to the customers. We offer turnkey solution within budget and as per schedule. This has been primarily possible due to core strengths like experienced manpower with requisite managerial & execution strength, technical know-how and adherence to quality parameters. These major strength areas play a key role in our organization to provide best available offshore development solutions. Do you have any questions about VSS services that could be provided to your company? Please contact us.